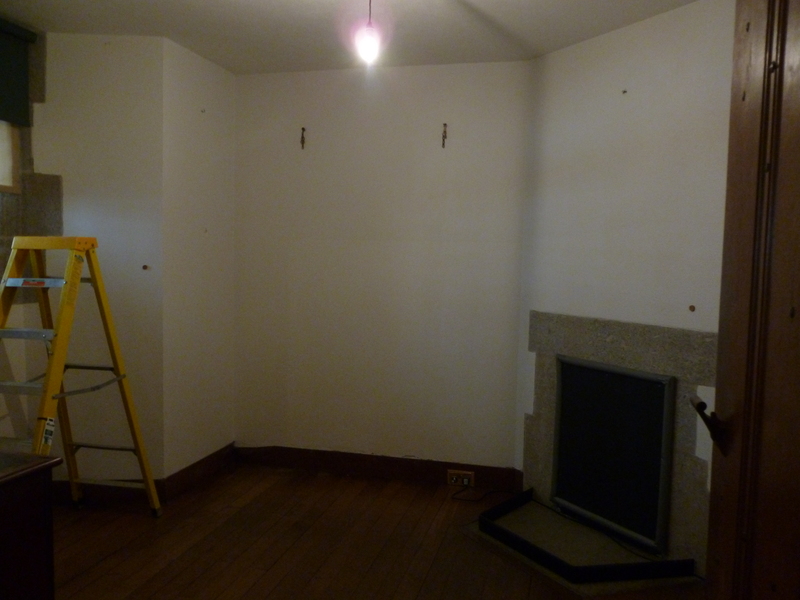 The Castle Drogo team are really pleased to be re-opening Adrian’s Room at the castle. It is a room much loved by everyone who knows the property. It was originally created as a memorial to Julius and Francis Drewe’s son Adrian who was a Major in the Royal Garrison Artillery, sadly he was killed at Ypres on the 12th July 1917 aged only 26 years. The family originally created the room in their home at Wadhurst Hall, but when the family moved into Castle Drogo in 1928 the room was re-established here and has remained in the same room ever since. The contents of the room were put in storage in December 2012 as part of the building project in progress at the castle, the window was taken out to be refurbished and it is the first window to be put back in situ out of 913 windows. 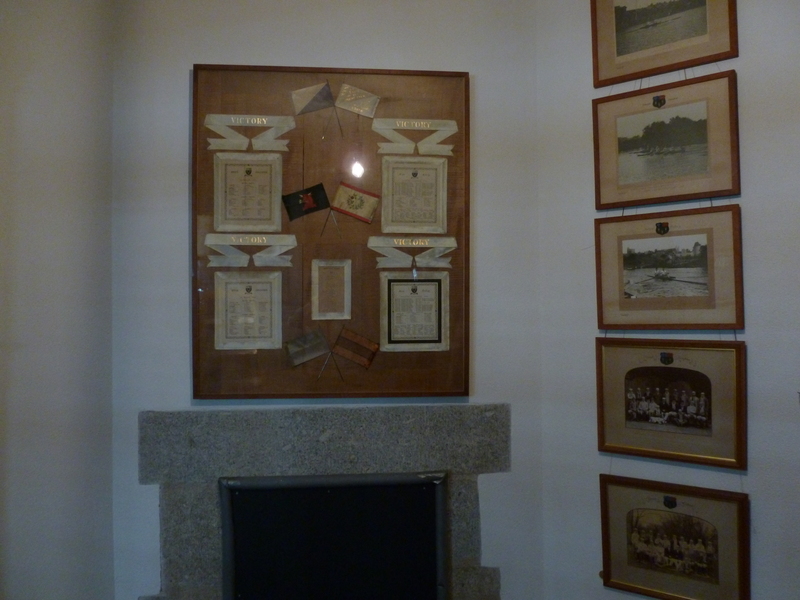 “The room has been re-instated exactly as it was before as the room is a designated war memorial. 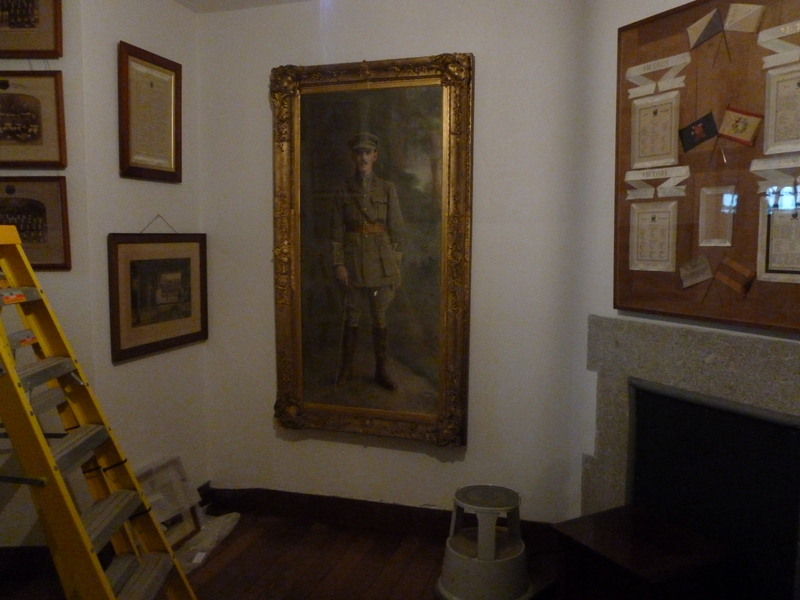 We felt it was important to have this room open this year with the centenary of the outbreak of WWI, particularly as the war had such a major impact on the building of the castle as well as the personal grief the family suffered with the loss of their eldest son” said House and Collections Manager Lucinda Heron. The room in the morning. 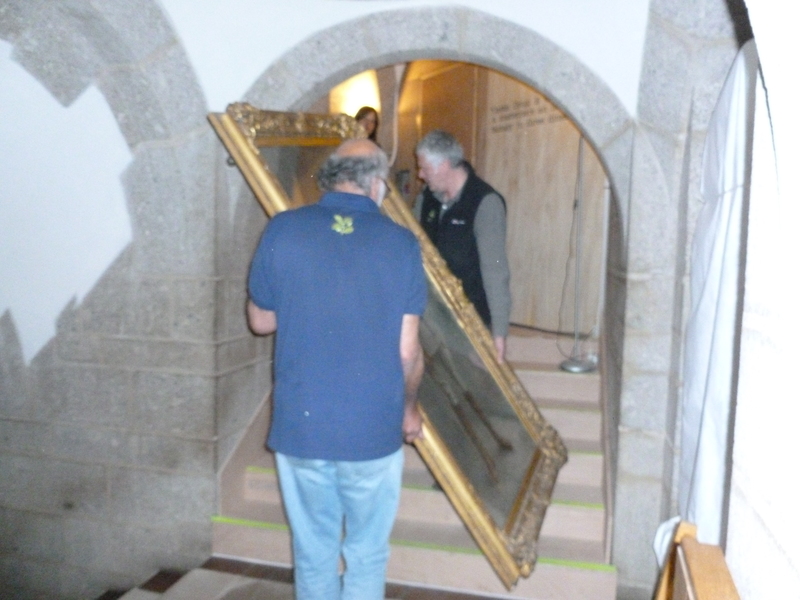 Our conservation team carrying the portrait of Adrian Drewe carefully up the stairs. The room is now ready for visitors. Once war was declared in August 1914 work on the Castle began to slow down. 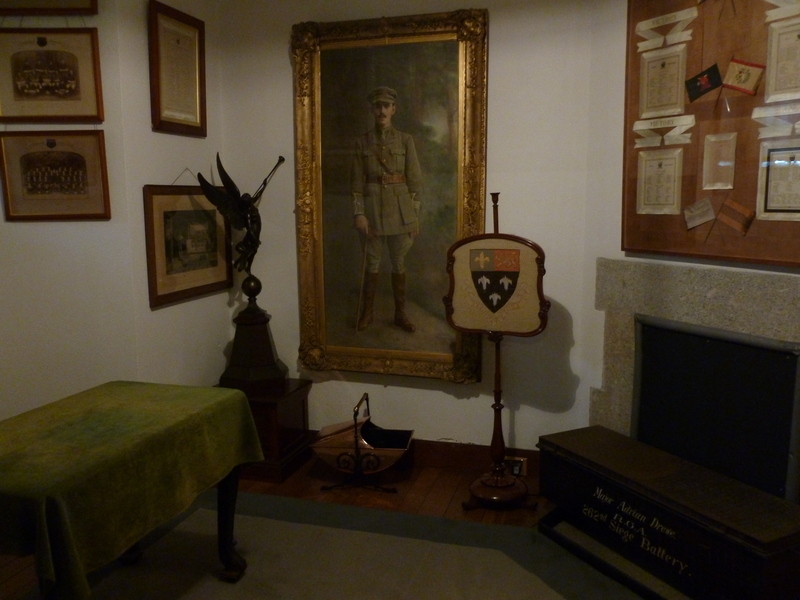 During 1914 men volunteered for the Army and workers at the Castle, the single men, were encouraged to volunteer and some were paid a bounty for volunteering by Julius Drewe. This money covered the cost of their kit, which at that time they had to pay for themselves. There are several letters in the Walker Letters to this effect. Research identified G Arscott from the wages list of the Castle as William George Arscott of Drewsteignton. In the 1911 Census there is a Thomas Arscott, a farm labourer, aged 47 living at Netherton, Drewsteignton. He has a son George aged 18, also a farm labourer. The census does not always give full names so it may be that William George was known as George. G Arscott makes no further appearance on the lists after 14th August 1914. Thank you for your letter re kit money. I have now pleasure in enclosing you £3. 0. 6. also receipt for same, kindly sign this across the stamp and return to me. This is two weeks wages plus 10/- for expenses incurred. I hope you will have a good time, do your duty to the King and Country, and come back at the end of the War, unless you find that you like the Army & finish your 21 years, coming out as Colour Sergeant with various medals. Commonwealth War Graves Commission – there is a William George Arscott of the Devonshire regiment who died age 24 on 29/01/1918 in Greece. He is buried at SARIGOL MILITARY CEMETERY, KRISTON. His father was a Thomas Arscott of Netherton, Drewsteignton. There appears to have been a long drawn out campaign in Greece in the Salonika area (now Thessaloniki) and he was involved in this for about two years. It is worth quoting in full the piece form the Western Times about William George’s death as it is very poignant to read about what else was happening and what the Home Front was doing for the war effort and of course the piece about William George working at the Mansion. Western Times –15th February 1918. Article in the Drewsteignton news section, on the death of W.G. Arscott. As showing the mildness of the season, bunches of primroses were picked in this parish during last week. During the winter months the members of the Ladies Patriotic Working Party have knitted and sent to the Mayoress of Exeter’s Depot, 141 pairs of socks, 30 pairs of mittens and 16 mufflers. Since the formation of the working party one old lady. Mrs Harriett Lackey, who is close on 80 years of age, has knitted no less that 50 pairs of socks for our brave boys. William George is commemorated on the Drewsteignton war memorial.